The track for the Melbourne Cup. 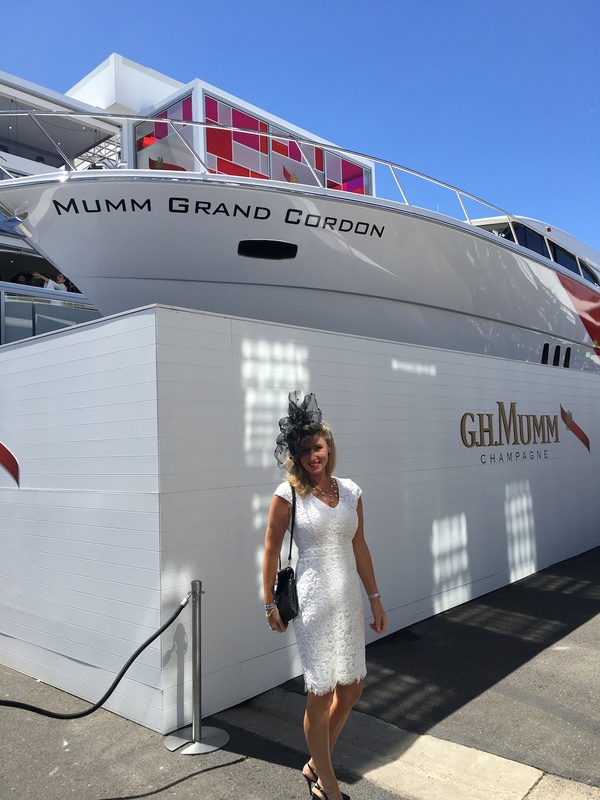 Rekindling may have taken the 2017 Melbourne Cup but there’s no doubt that all the talk at Flemington yesterday, and indeed since Derby Day, has been about the sleek, Maritimo S59 cruising motor yacht which holds price of place at the Maison Mumm Champagne marquee. 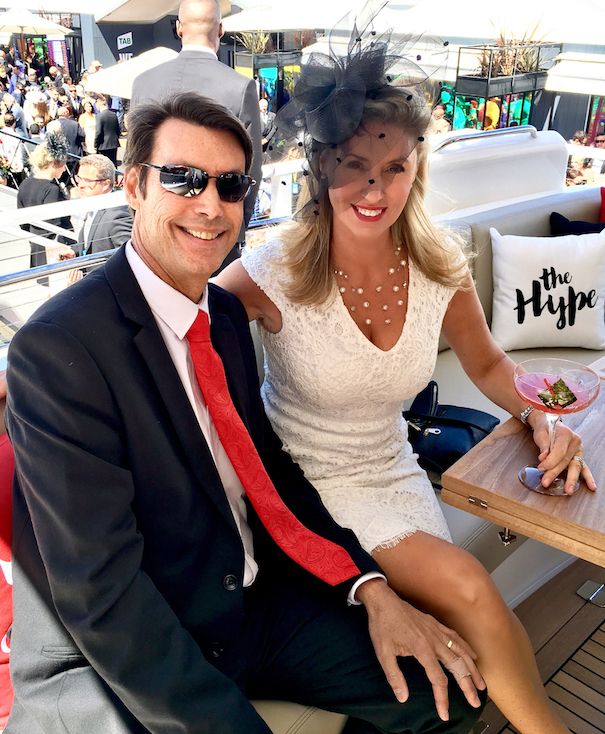 Literally thousands of selfies and countless professional photographs were taken beside or on the yacht and its presence at the Melbourne Cup has been noted worldwide. 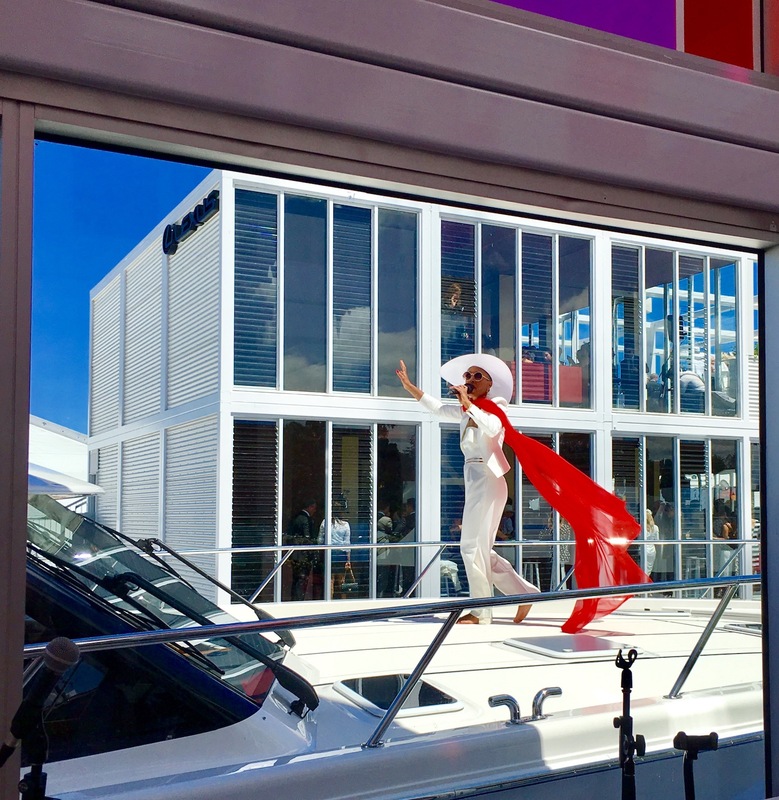 Maritimo CEO Garth Corbitt, who has hosted the company’s VIP guests in the Mumm Yacht Club themed marquee during the racing carnival, said the response to the yacht had been phenomenal . “I think this is probably the most spectacular display ever staged in The Birdcage and everyone has loved it,” he said. 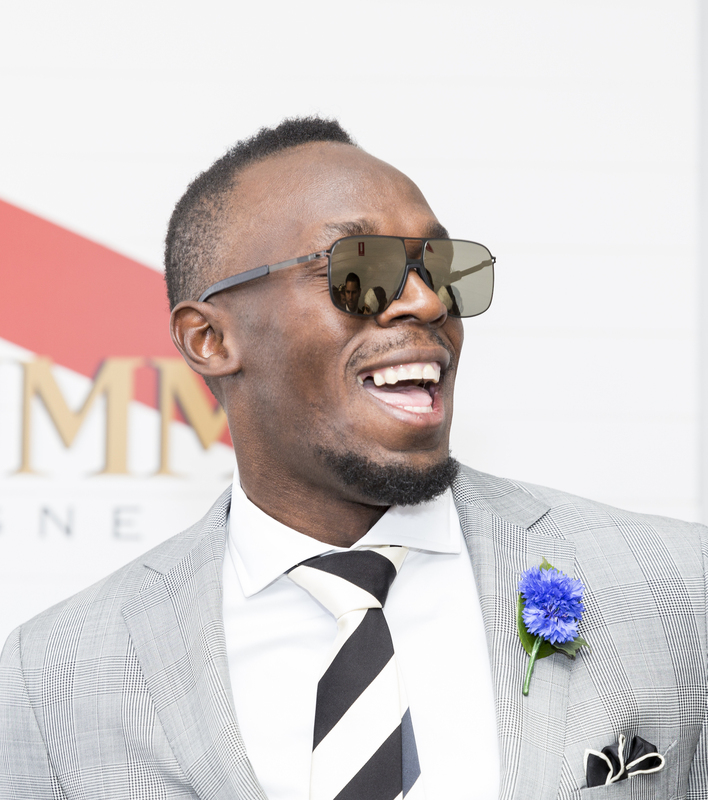 Visitors who have graced the S59 have included the Federal Foreign Minister, Julie Bishop, world championship sprinter Usain Bolt, swimming legend Ian Thorpe and dozens of VIP guests of Maison Mumm. Maritimo spend hundreds of man hours getting the vessel from Sydney to the racecourse at Flemington where a 250 ton crane was used to put in into position so the Mumm facility could be built around it. 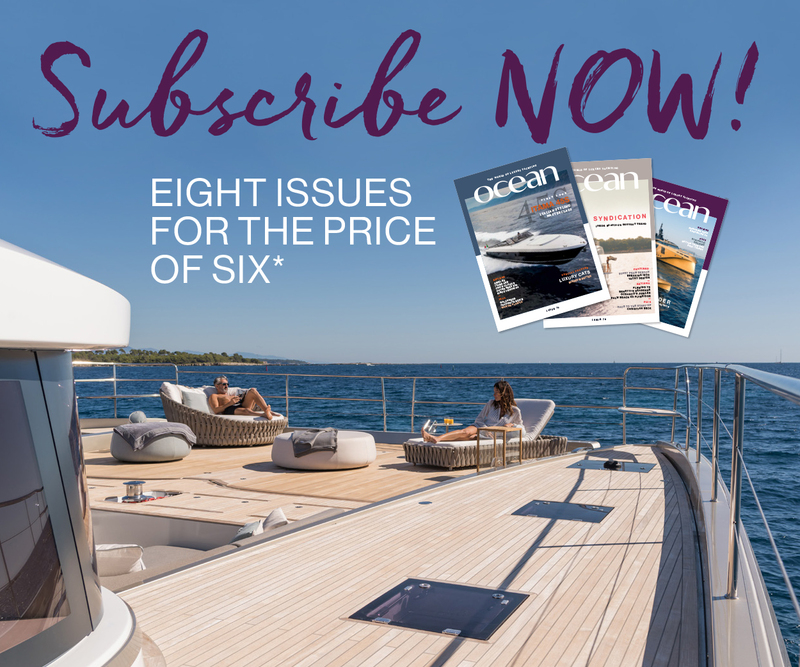 Corbitt said the international exposure the yacht received will help support Maritimo’s global brand expansion strategy. 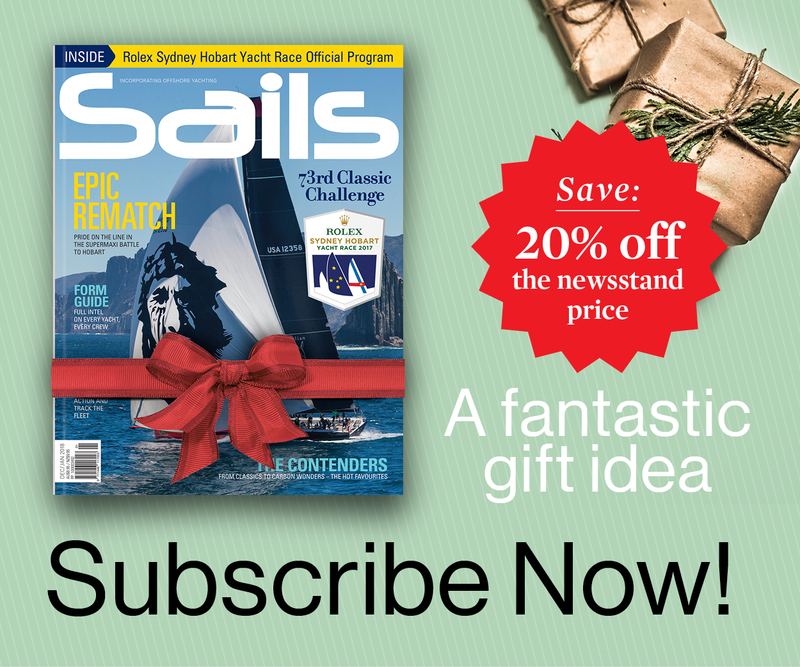 “This is by far the most unusual promotion we have been involved with and send a clear message that with Maritimo anything is possible and we think outside the square,” he said.